The First Coptic family that we know of arrived in Syracuse in 1968. More Coptic families then arrived in the late 1970s and early 1980s. God put in the hearts of those church-loving families the idea of starting a new church in Central New York. 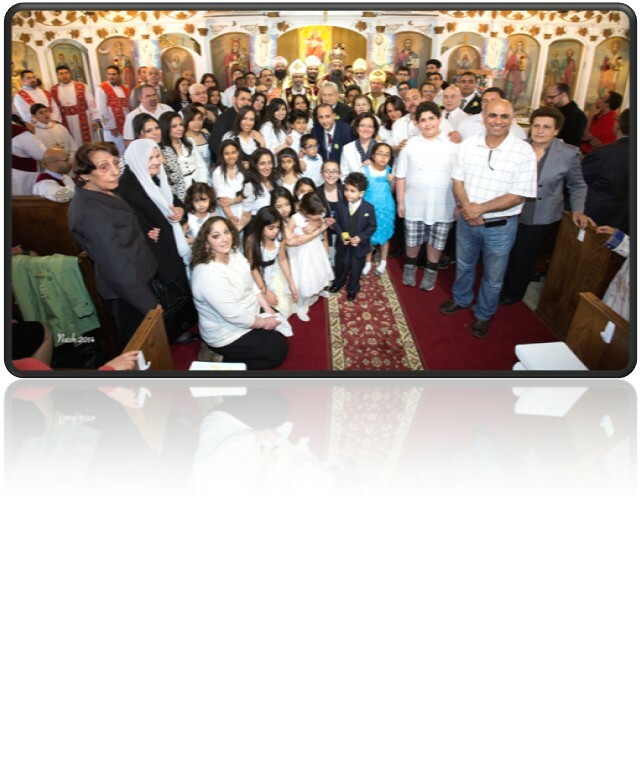 In 1997, there was a meeting of the church members, with Mr. Michael Said presiding, where it was decided to incorporate the church under the name of St. Mary and St. Mina Coptic Orthodox Church. Attending that meeting were Michael and Mona Said, Mootaz and Nahed Sorial, Adel and Sheiry Soliman, Zaher and Samia Bahouth, Roushdy Nakhla, Bahia El-Bayadi, and Ayman and Nahed Iskander. 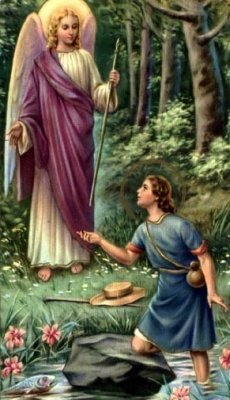 The church was officially incorporated on September 8, 1997, which coincided with the feast day of Archangel Raphael. In January 2000, H.H. 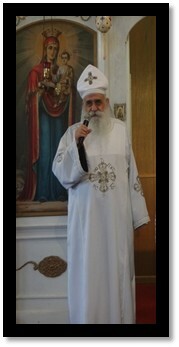 Pope Shenouda III delegated Father Bola Nashed to serve our church during Christmas. Thereafter, we have been blessed by the services of many priests during the major Feasts of Nativity and Resurrection. 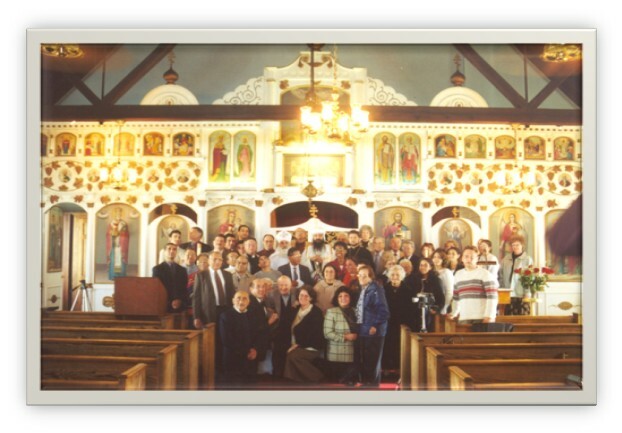 On October 12th 2001 the current Church building was purchased from the Russian Orthodox Church. The Church was consecrated by HG. Bishop David in November of 2001. The second Board was elected and approved by H.H. Pope Shenouda III. In 2007, Fr. Demetrius Mansour started serving our Church once every month. Likewise Fr. Mark Iskander started his service in our church in 2008 one Saturday a month. In 2014 H.G. Bishop David appointed the third board. 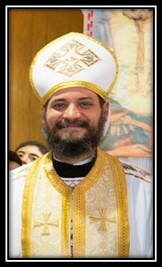 In April 2014, HG Bishop David delivered the good news regarding his choice of deacon Dr. Adel Sadek to serve as our priest. 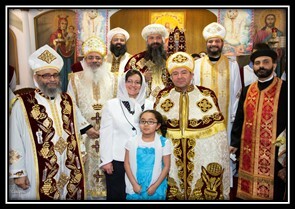 On May 4, 2014, Deacon Dr. Adel was ordained Deacon Yostos by his Grace Bishop David at St. Mary & St. Moses Coptic Orthodox Church Buffalo, NY. 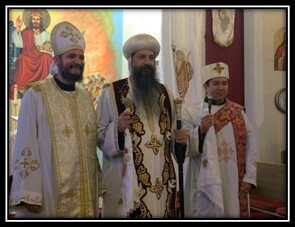 On May 11, 2014 Deacon Yostos received the sacrament of priesthood and was ordained Father Kyrillos by His Grace Bishop David to serve St. Mary & St. Mina’s Coptic Orthodox Church Syracuse, NY. On June 20th 2014, the church hosted the reception of Rv. Fr. Kyrillos. On April 21, 2016, and thanks to our Loving Lord, the intercession of the saints, the prayers of our beloved father His Grace Bishop David, and the prayers and support of many of loving friends, we closed on our new church building on 106 Church Street in North Syracuse. The new building has plenty of space which will allow us to start many new services and ministries. Moreover, we have dedicated a Chapel in the new church building which we plan, by the Grace of God, to name after our beloved saint Pope Kyrillos the Sixth. We thank you for visiting our website and would love to have the honor of your visit to our beloved church in Syracuse, may the Lord bless you and fill your life with love, peace and joy.